in lucky peach 1, yat ka mein was depicted as a restorative, like menudo or kimchi. it didn't sound appetising: scallions, spaghetti, and pick-your-protein, in a soup spiced with cayenne. 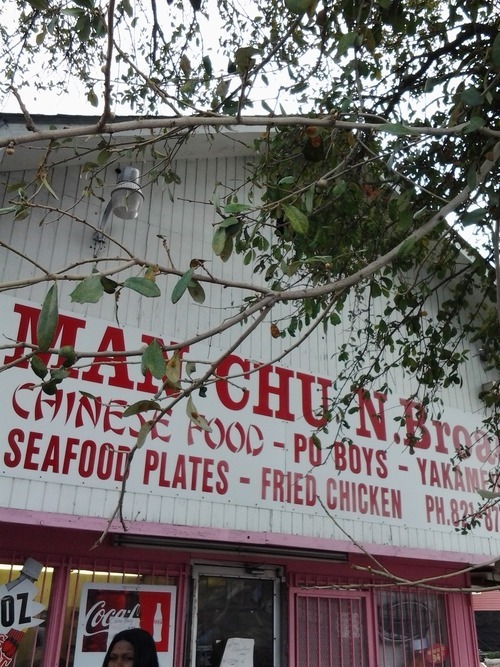 we were on north broad street lagging behind the treme sidewalk steppers sunday second line when the man chu hut, a pink-painted yat ka mein institution, loomed on the left. 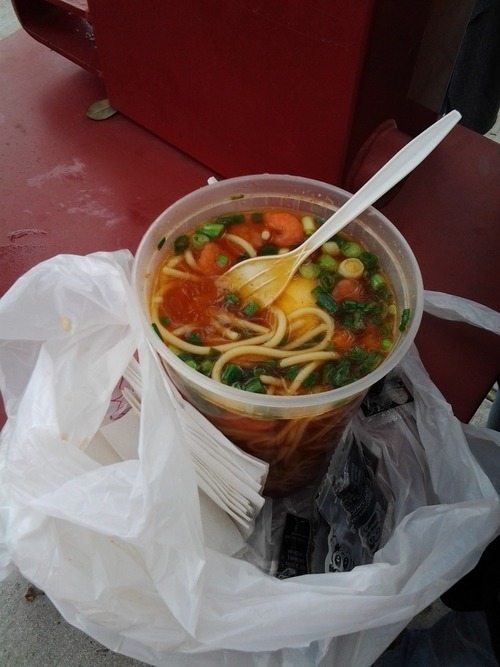 fate, as we know, looks askance at those who turn opportunity away when it knocks with a quart of soup noodles in its other hand. the yat ka mein was surprisingly tasty. the jury is still out on the oddly red shrimp.